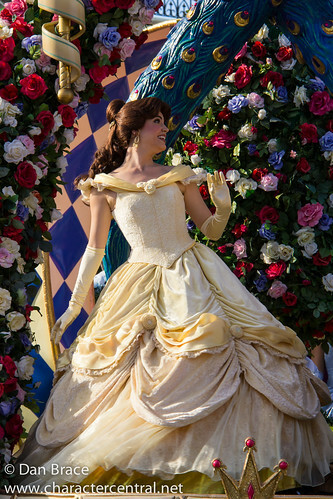 Through her love of books, Belle escapes to enchanted lands filled with princes and castles, and forever dreams about being taken away from the small provincial village she lives in with her father. 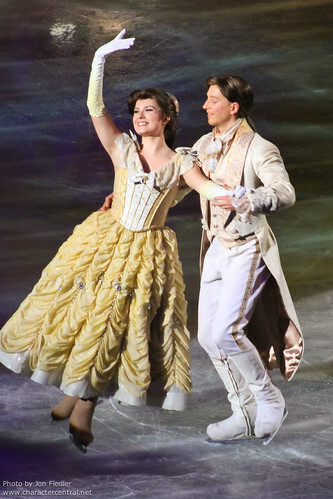 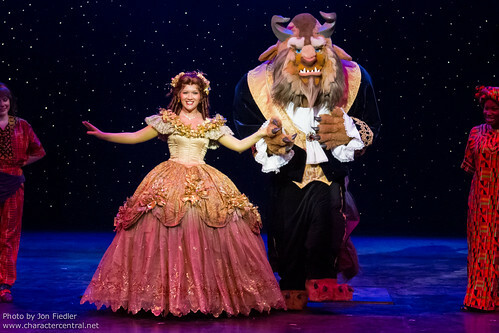 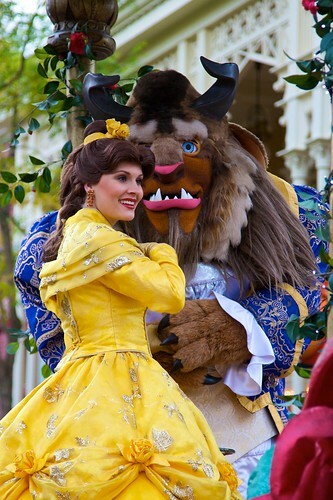 When her father is captured after straying too near a mysterious castle deep in the forests, Belle goes to free him. 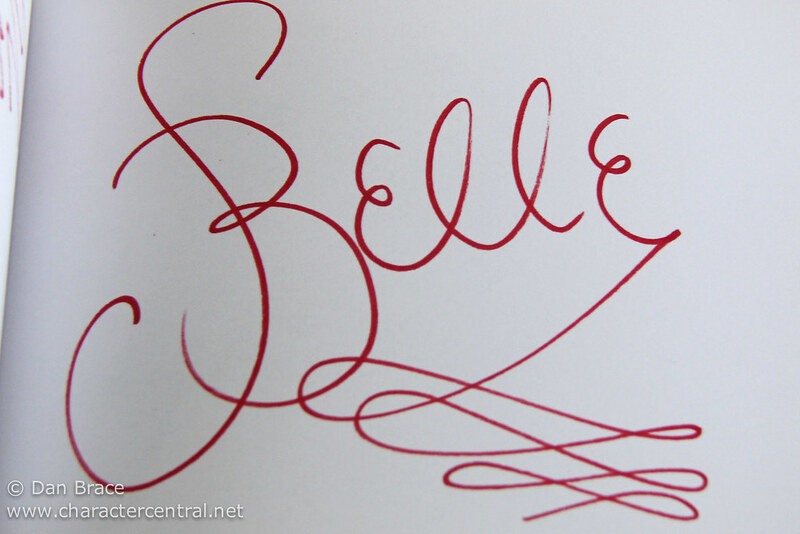 What she encounters when she gets there though is beyond anything she has ever read about. 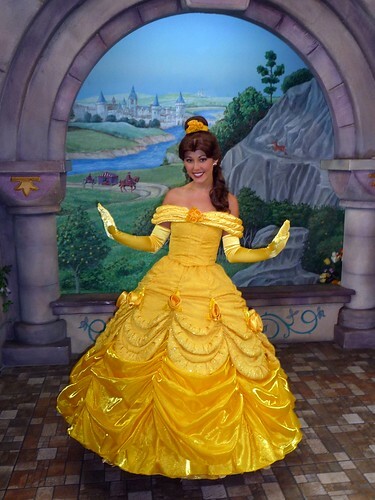 A decaying enchanted castle filled with magical servants welcome Belle, but her rescue attempt is not so successful. 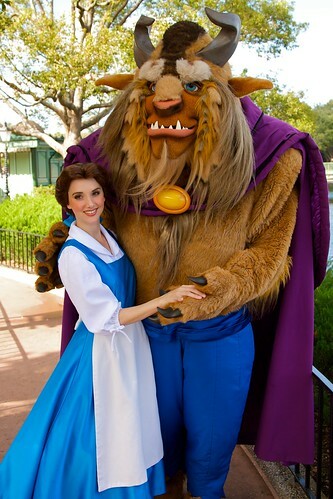 Swapping herself for her father's freedom, Belle becomes prisoner of the master of the castle - a fearsome beast. 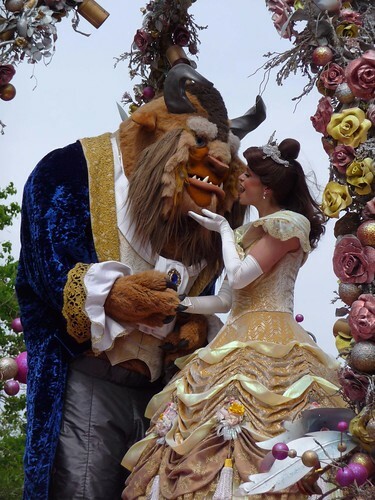 Over the days that follow, Belle teaches the Beast how love and respect again, and something happens that neither of them ever thought possible - they fall in love. 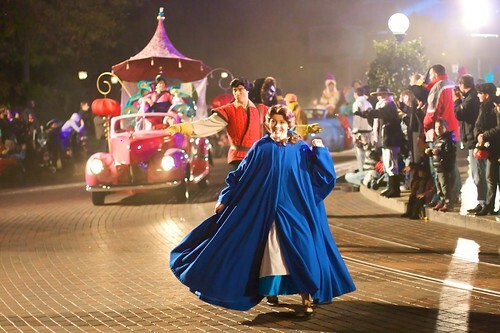 But before Belle and the Beast can break the spell, the ever jealous Gaston arrives with a mob and ambushes the castle. 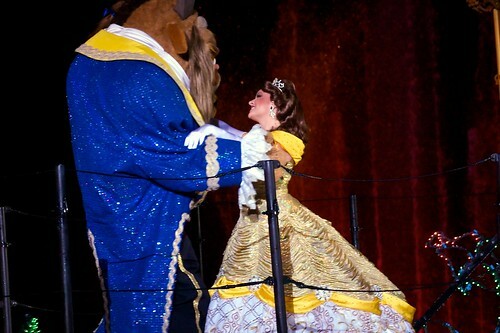 With Gaston lost to the depths of the dark forest below, Beast is left dying on the rooftop, where Belle tells him she loves him. 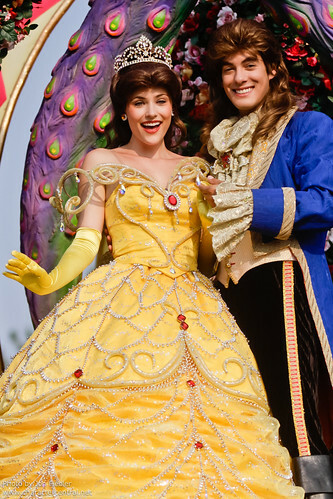 Just as she thinks he is gone, the spell is broken and Prince Adam awakes. 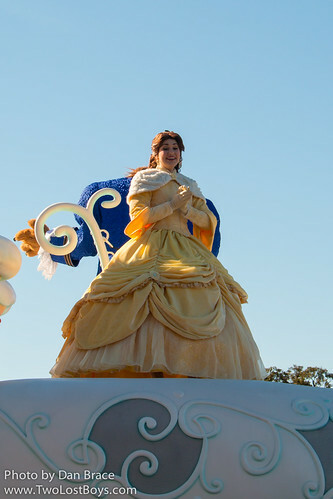 Belle proves through her courage and dreams that appearances can be deceiving, and you should never judge a book by it's cover. 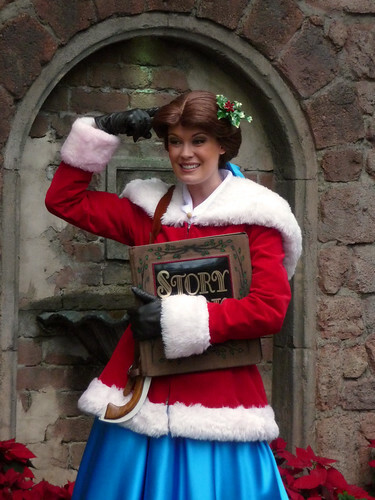 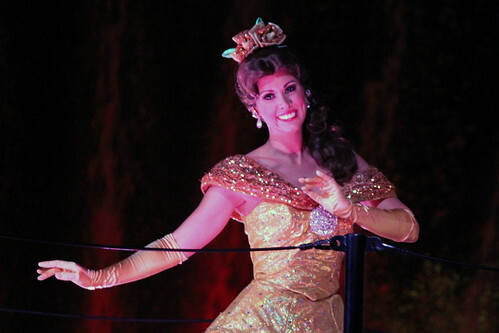 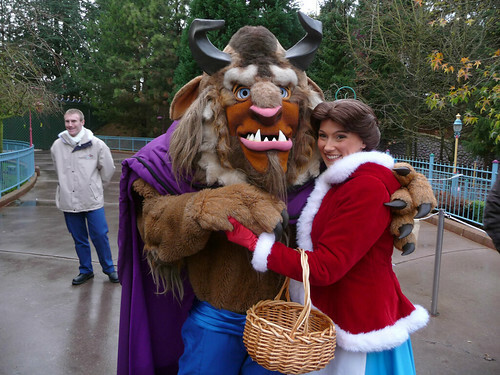 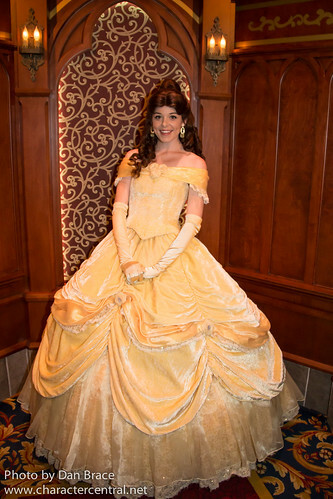 At Walt Disney World she can normally be found in France at EPCOT, and sometimes at the Akershus Restaurant. 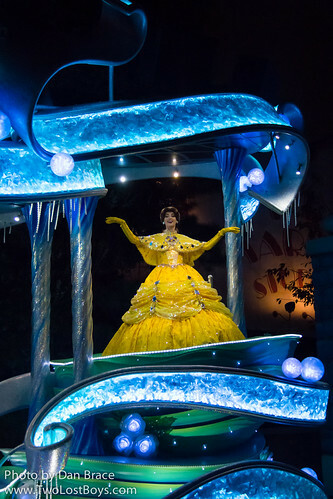 She can sometimes be found at Cinderella's Royal Table. 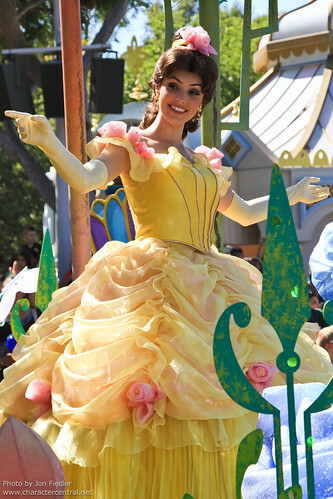 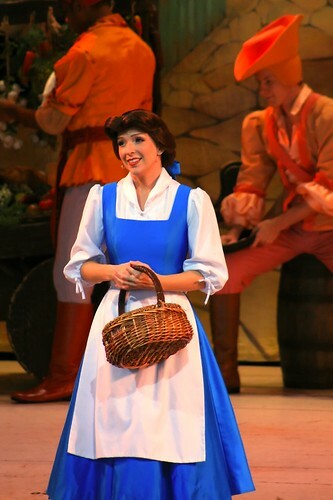 In Disneyland, California, Belle can often be found at the Royal Hall in Fantasyland, and the Ariel's Grotto character dining at DCA. 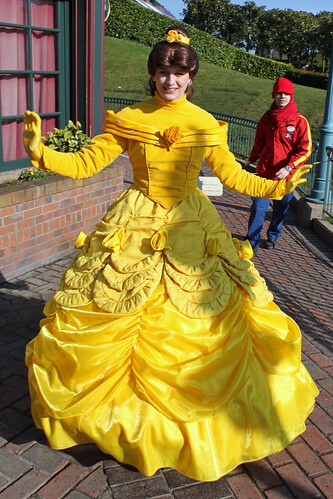 In Disneyland Paris she is often at the Princess Pavilion and at the Auberge de Cendrillon character dining in Fantasyland. 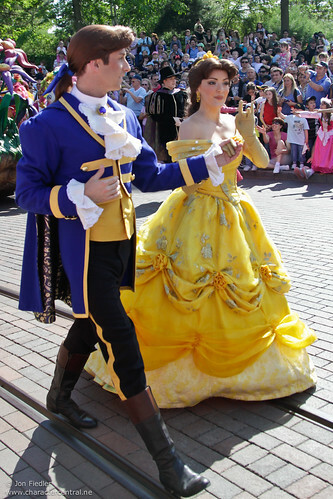 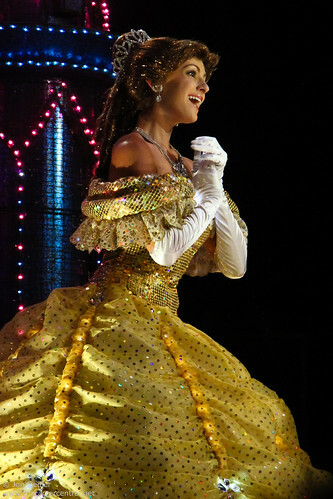 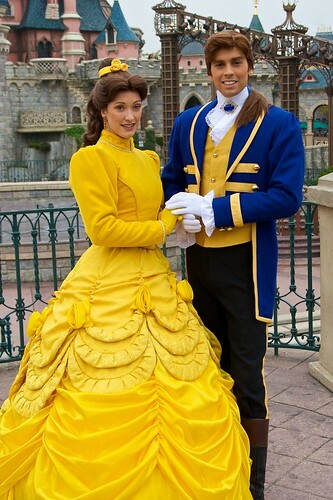 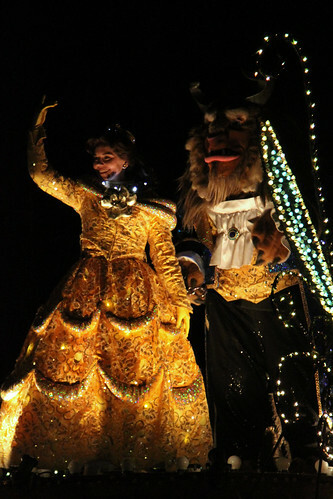 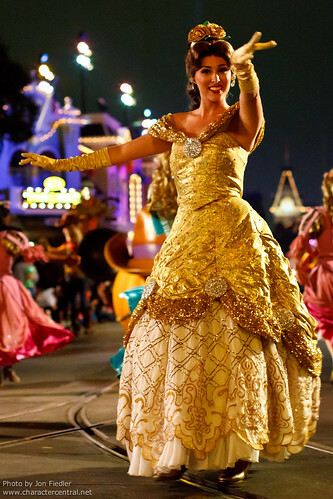 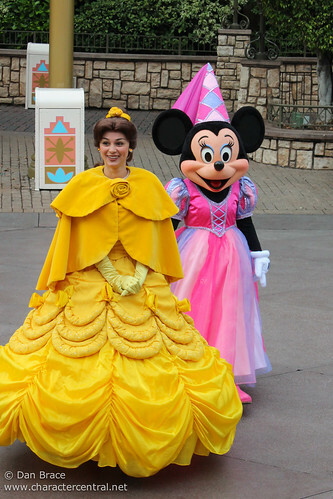 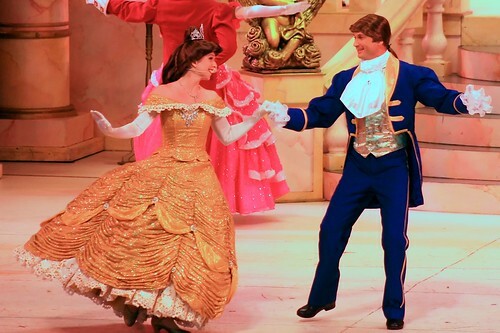 In Tokyo Disneyland and Hong Kong Disneyland Belle appears in both their Fantasylands quite regularly. 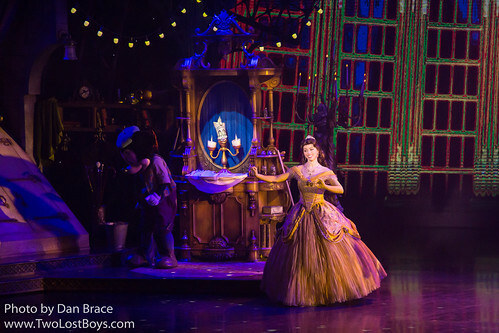 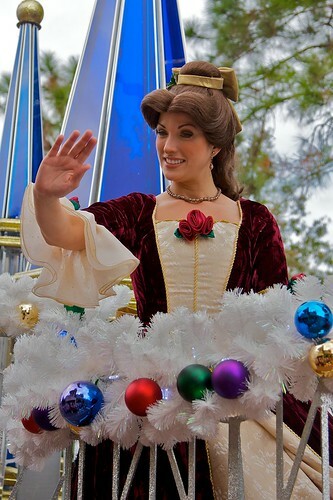 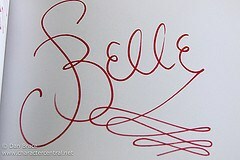 Belle also appears on selected DCL sailings. 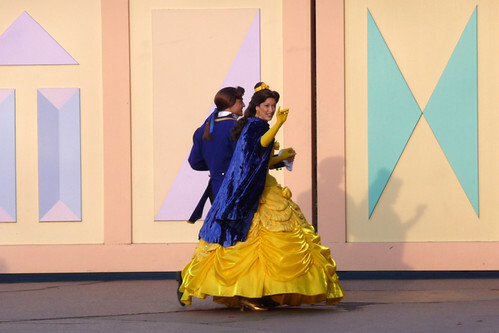 You should check your Personal Navigator for details.